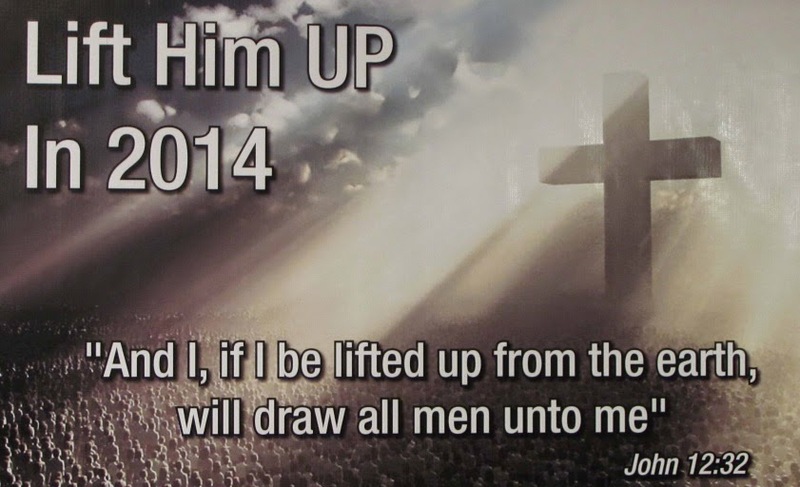 Josie Hagen Ministries: Wishing all of you a Blessed Passover 2014! "I am the Alpha and the Omega," says the Lord God, "who is, and who was, and who is to come, the Almighty. Christ, Our Passover: The Beginning of God's Master Plan Without this first step pictured by the Passover, there would be no hope for humanity. 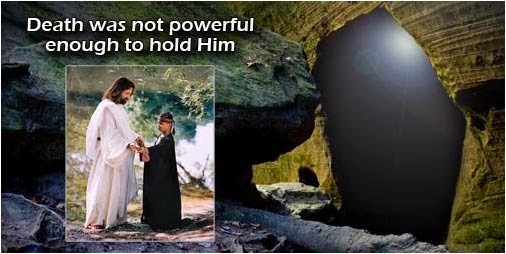 But because Jesus Christ gave His life as our Passover sacrifice, we have a potential beyond human imagination! To Expose and lay bare the plans of the Master Masons of the Universe. The Prince of darkness. The founders of the New World Order are assumed to be the guardians of the occult mysteries which resemble the ancient mysteries of Egypt. It is coupled by a “hierarchy of spirits” which exercise all kinds of influences and delusions. The practice of magic and occult became a holy quest, rather unholy quest. He who commits sin is from Satan, because Satan is a sinner and a liar from the beginning. The Son of God appeared for this reason: To destroy the works of Satan. Oh, do not remember former iniquities against us! Let Your tender mercies come speedily to meet us, for we have been brought very low. Help us, O God of our salvation, for the Glory of Your name; and deliver us, and provide Atonement for our sins, for Your name's sake! Atonement is necessary because of our sins—the breaking of God's laws that condemns each of us to eternal death Romans 6:23. Atonement, or removing of sins, is made possible by the sacrifice of Jesus Christ, who paid our death penalty for us Romans 5:6-10 His sacrifice is evidence of God's mercy and makes it possible for us to be saved. 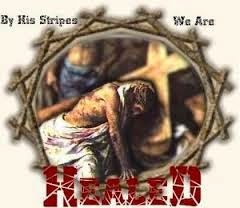 It removes the barrier of sin that has separated us from God, reconciling us Isaiah 59:2, Ephesians 2:13. For when we were yet without strength, in due time Christ died for the ungodly. For scarcely for a righteous man will one die: yet peradventure for a good man some would even dare to die. But God commended his love toward us, in that, while we were yet sinners, Christ died for us. Much more then, being now justified by His Blood, we shall be saved from wrath through him. For if, when we were enemies, we were reconciled to God by the death of his Son, much more, being reconciled, we shall be saved by His Life. But now in Christ Jesus you who sometimes were far off are made nigh by the Blood of Christ. whom God set forth to be an Atoning sacrifice, through faith in his Blood, for a demonstration of his righteousness through the Passing over of prior sins, in God's forbearance. He himself is the sacrifice that Atones for our sins - and not only our sins but the sins of all the world. He is the image of the invisible God, the firstborn of all creation. For by Him all things were created, both in the heavens and on earth, visible and invisible, whether thrones or dominions or rulers or authorities - all things have been created through Him and for Him. The First born Son of all creation paid the penalty endured the Cross for us so that the ‘’Destroyer of the firstborn” would not and could not Touch us. Without this first step pictured by the Passover, there would be no hope for humanity. But because Jesus Christ gave His life as our Passover sacrifice, we have a potential beyond human imagination. With fervent desire I have desired to eat this Passover with you before I suffer; for I say to you, I will no longer eat of it until it is fulfilled in the kingdom of God. Then He took the cup, and gave thanks, and said, 'Take this and divide it among yourselves; for I say To you, I will not drink of the fruit of the vine until the kingdom of God comes. How did God reveal the Passover to Israel when they were enslaved in Egypt? "Now the blood shall be a sign for you on the houses where you are. And when I see the blood, I will pass over you; and the plague shall not be on you to destroy you when I strike the land of Egypt. 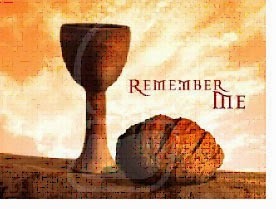 "So this day shall be to you a memorial; and you shall keep it as a feast to the Lord throughout your generations. You shall keep it as a feast by an everlasting ordinance." The Israelites had cried out to God for deliverance from the harsh slavery they suffered in Egypt. In spite of the nine plagues God had already sent, Pharaoh a type of Satan still refused to let the Israelites leave. Even when God warned him of the last plague, the death of the firstborn, Pharaoh's heart remained hardened. But God gave the Israelites instructions to sacrifice lambs and put the blood on the doorposts as a sign and a symbol. 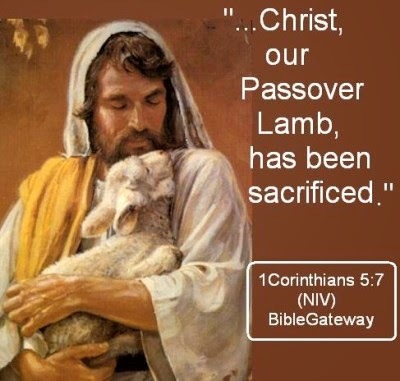 What did the Passover Lamb represent? Therefore purge out the old leaven, that you may be a new lump, since you truly are unleavened. For indeed Christ, our Passover was sacrificed for us. Exodus 12:13 describes the shedding of the Blood of the Passover lamb in Egypt for Israel’s redemption. The Blood was put on the lintel and on the door-posts, whereas the meat, the flesh of the lamb, was eaten inside the house. God said: “When I see the Blood, I will pass over you” There is life in the Blood, and that Blood has to be poured out for me, for my sins. God is the One who requires it to be so. God is the One who demands that the Blood be presented, in order to satisfy His own righteousness, and it is He who says: “When I see the Blood, I will pass over you.” The Blood of Christ wholly satisfies God. The Blood Satisfies the Righteous Demands of God. We Must See the Value God places on the Blood of Christ. The Blood has satisfied God; it must satisfy us also. On this Passover week, when most eyes in Christendom “Christianity” turn to refocus on Christ’s sacrifice and suffering on the cross, the Passover also rightly comes to mind. 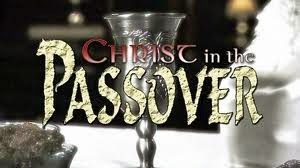 It’s not only because the Passover meal served as the Capstone to Christ’s equipping of his disciples, nor is it just because Christ chose to transform the Passover into the new ordinance for His Church. 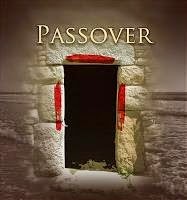 I find the Passover compelling not just for those reasons, but because the Passover preached the Gospel of Jesus. Through it God wrote a new chapter in His story of Redemption in time and space. Our Security lies in Covenant with God. We implicitly trust Him that He is our deliverer and Healer He is our Savior our Pass-Over Lamb. 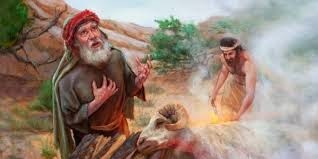 Abraham and Isaac sacrificing a ram provided by Jehovah. The Blood of Jesus is Man-ward in the cleansing of our conscience. 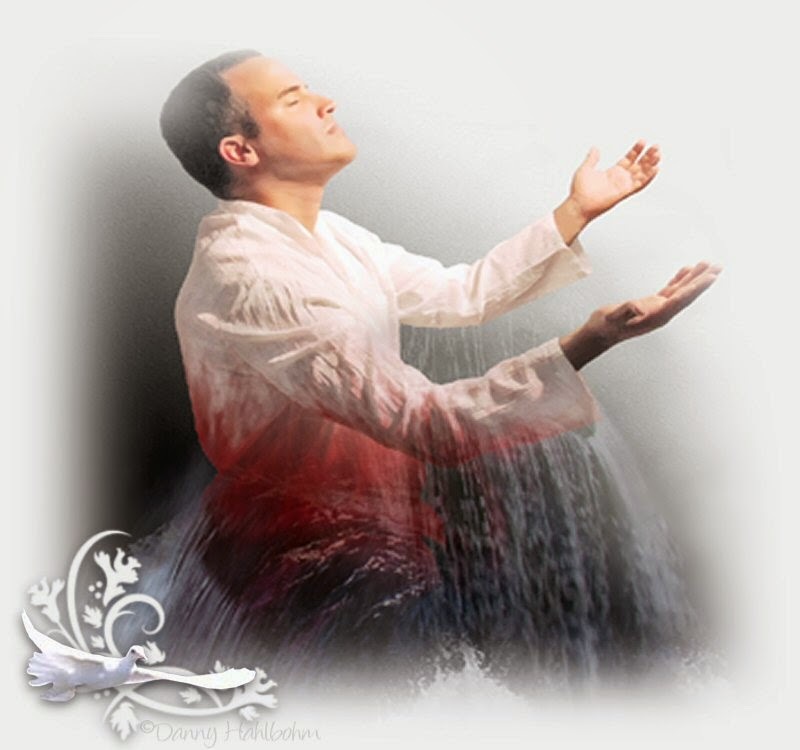 Jehovah - Our Provider and Protector because he has affection for me, I will rescue him. And Abraham called the name of that place Jehovah-Jireh. As it is said to this day, In the mount of Jehovah it shall be provided. Jehovah will provide, the name given by Abraham to the place where he had been on the point of slaying his son Isaac, That God would provide a victim for the sacrifice. Thou hast made the earth to tremble; thou hast broken it: Heal the breaches thereof for it shakes. Therefore, may we all today be encouraged today to see that the God who provided a Ram on Mount Moriah and the God Who provided His Son on Mount Calvary, is the same God who will provide for you and me. The basic story is this: death was to pass upon all the families of Egypt - all of creation in Egypt for that matter. Only those households covered by the Blood of a Lamb, properly sacrificed and prepared according to God’s instructions, would be delivered from the sentence of death. To further increase the symbolism, the blood was to be placed on the sides and the top of the doorways of the house, at the Points of a Cross. And to Jesus the Messiah as the “Lamb of God, who takes away the sins of the world But only for those who believe, and act on that belief. Just like at the first Passover. As Jesus walked by, John looked at him and declared, "Look! There is the Lamb of God!" The message of the Passover is the same clear and simple message of the Gospel of Jesus today. Believe in the Lamb who died to take the consequences for your sin and you will be saved from the wrath of the Just Judge of all men. None of this would be possible if the Blood did not satisfy God’s Righteousness. The Blood of Jesus Christ is the Means of our Access to God. By canceling the record of debt that stood against us with its legal demands This he set aside, nailing it to the cross. Help us, God our Savior, for the Glory of your name; deliver us and forgive our sins for your name's sake. Somewhere in the middle of human history God sent Jesus to pay the price for our refusal to obey Him. God has not changed a bit. 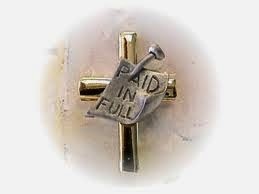 Salvation was not free; someone had to pay for it. 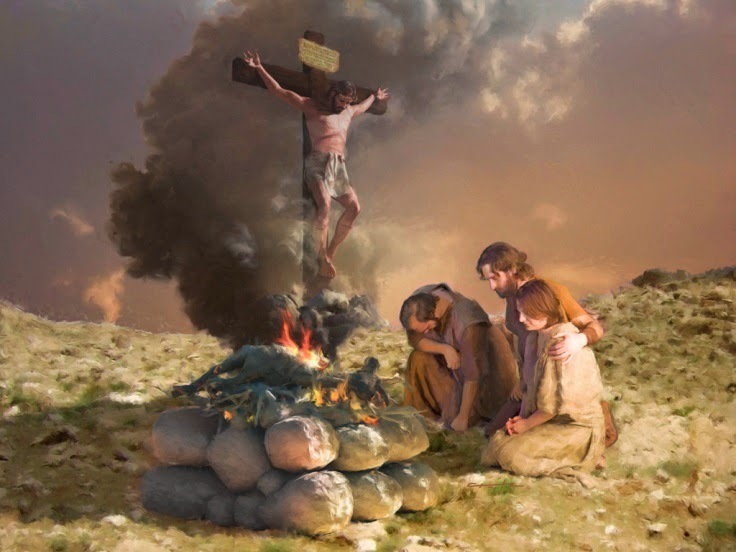 In fact, you still need to bring a lamb to God in order to be forgiven.” Everything that was ever required by God in the past is still required by Him in the present, Your repentance, Someone to pay for what you have done: the Perfect Sacrifice – Jesus, the Lamb of God. The Blood is Sufficient to cleanse our Conscience. The shedding of His Blood for the forgiveness of your sins you have to appropriate Jesus’ sacrifice, in other words, trust in Him yourself. Blessed are they that wash their robes in the Blood of the Lamb: that they may have a right to the Tree of Life, and may enter in by the gates into the city. 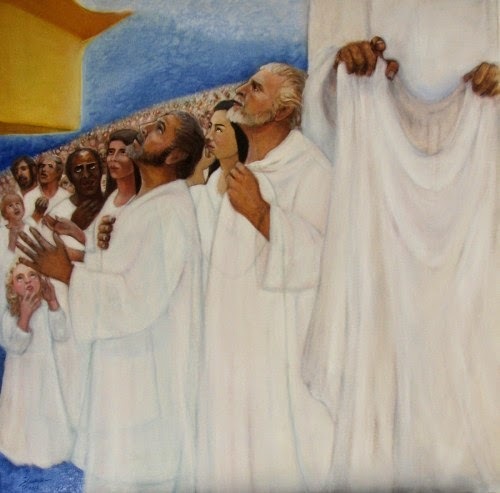 Those who wash their robes have the right to the Tree of Life made them white in the Blood of the Lamb. 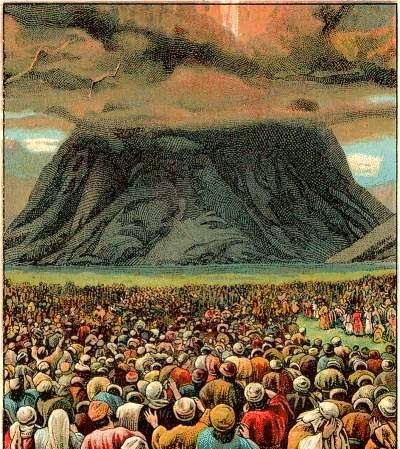 In the “new Jerusalem” there will be no need for a church building. “The Lord God Almighty and the Lamb, Jesus are its Temple.” “It is finished!” They are Jesus’ last words when He died on the cross. He entered once for all into the Holy place not by means of the blood of goats and calves but by means of His own Blood, thus securing an Eternal redemption. “And I will be his God and he will be My son"